Thanks to the continuous efforts of Dr. Paluru, we are pleased to welcome another energy industry strategic advisor to Freedom Motors, Dr. Anjan Bose. 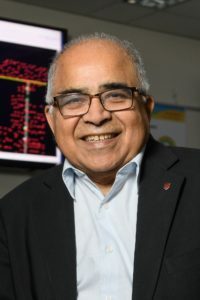 Dr. Bose joins the rest of our advisory team, Mike Smith, Sudheer Kuppam, and Andee McCoy, as we undertake our strategy to engage the energy industry here and around the world. Please join me in welcoming Dr. Bose to Freedom Motors!